Home>About us>Blog>What does Brexit mean for your licence? 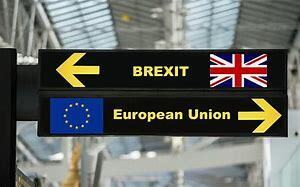 We have been contacted by several pilots seeking advice about switching their licence to a different (EU) national body in light of the possibility of a ‘No deal Brexit’. In some cases, employers are asking their pilots to do this to ensure business continuity, by avoiding of being outside the European Aviation Safety Agency framework and thus not, possibly, able to fly in Europe. Like everyone else, we do not know the final shape of Brexit, but we can report that we have met with the UK Aviation Minister and it appears there was no desire for us to withdraw from EASA. That is of course not a guarantee it will not happen. The question is, whether the possible restrictions identified by some companies come to pass? Personally, I do not think excluding UK licence holders from operating in the EU area would be in anyone’s interest as I am sure that if you are not allowed to fly in such circumstances the UK, it would quickly impose similar restrictions and this would have a wide impact on the EU member states. In short, it would be a serious no-win situation for everyone. Meet all costs associated with the change. Cover all costs associated with re-obtaining a UK licence (or whatever comes to pass) if you leave the company or the restrictions they suggest do not occur. Maintain you on a UK contract. If you would like any further advice(Independent Pilots Association members), please do not hesitate to contact us. If you have not yet a member, view the benefits of becoming one today!